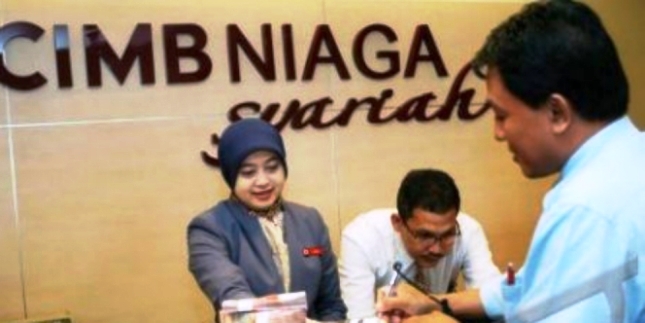 INDUSTRY.co.id - Jakarta - Sharia Banking Director CIMB Niaga Pandji P Djajanegara assess the government has a very crucial role for the development of Islamic financial institutions in the country either bank or nonbank. "Sharia industry is still small, we should not be regarded as a competitor to the conventional, but as a complement, the role of the government is extraordinary," Pandji said during a press conference of CIMB Niaga Syariah financial performance in Jakarta on Monday (26/3/2018). The market share of the Islamic finance industry is still struggling in the range of five percent, far behind compared Malaysia Malaysia, whose market share reaches about 23 percent. According to Pandji, the government should continue to encourage the development of sharia financial industry, especially from the side of the regulation, so that the share of Islamic financial market can move higher. "It is difficult to increase if there is no incentive, but it does not mean unlimited yes, but if it is not encouraged, it will be difficult to advance from five percent," said Pandji. He cited the support provided by the Malaysian government in the form of tax incentives for funds placed in Islamic financial institutions there so that the share of Islamic financial markets in Malaysia continues to increase. "Malaysia was initially also given incentives, for example if the deposit is put down, the tax is reduced, there must be a 'push factor' so we can be more than five percent," Pandji said. Pandji also mentioned the importance of regulatory support from the government in favor of the Islamic finance industry. He also hopes that Sharia National Committee (KNKS) that has been formed can play an optimal role. "Regulation should be better and more profitable for sharia industry," said Pandji.